I'd been avoiding Temple Grandin until about a month ago when I was asked to review the latest edition of her excellent book. Temple is arguably the foremost authority on Autism and Aspergers in the world - and as such, I guess that she's the "spoiler queen". 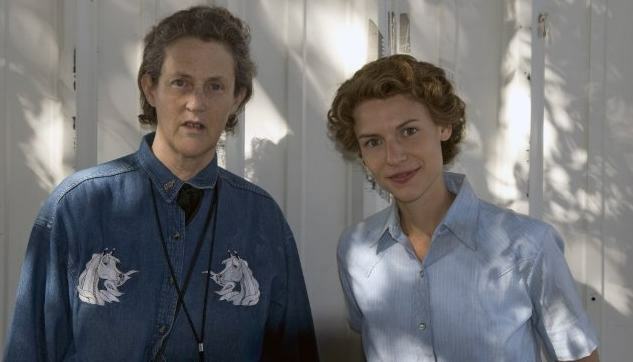 I guess I approached the Temple Grandin movie expecting a typical Hollywood sob story. I certainly wasn't expecting the depth of concept and directness of story that I got. This is a movie that tries to take the viewer and put them in an autistic person's shoes. In this endeavor, the movie largely succeeds. When Temple walks into a room, we know what scares her. We hear the sounds which overwhelm her and we see the images which flash before her eyes. Her motivations are clear to us and parents of children on the spectrum may find themselves looking at their children's behavior through new eyes. You'll be thinking about the movie long after it ends. Claire Danes has done an excellent job and is completely unrecognisable as the girl from Romeo+Juliet or Terminator 3. In this film, she IS Temple. She has the voice, the mannerisms and look and the walk. It's an impressive and brave performance which takes the viewer far from the glitz of her previous work. The story starts more or less as Temple leaves school. It covers some of her early life via flashbacks and moves forward only a few years with only glimpses of the future. This makes for a strong and coherent narrative but in some ways it's also a missed opportunity. I'd have loved to have seen more of Temple's childhood and in particular the ways in which she overcame her inability to speak. that her mentor, Dr. Carlock had on her life. Ultimately, like Temple's real life, this is a story about being the best that you can be, about bravery in the face of adversity and the power of positive parenting. Everyone with any connection to autism simply must watch this film. It's an inspiration not only to parents and to people on the spectrum but also to teachers. It clearly demonstrates the power that positive teachers and mentors have to inspire and to change lives. 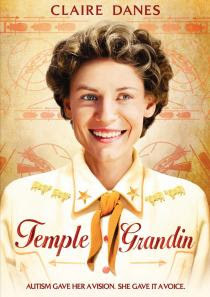 Temple Grandin (2010) is available from Amazon and other good movie retailers. Honesty clause - I wasn't asked to review this movie but chose to get it, watch it and review it. I'm very glad that I did. 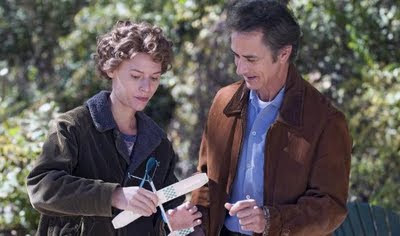 As a mother, I really loved this movie and could so relate to Temple's mother. I was in tears in one part, when Temple got up and spoke about her mother's help when she was a child. Temple recognises the help her mother gave her was all worth it, it was the unspoken "Thanks" that her mother received the best present of all. When your a mother it's important to never give up on your children, because deep down they really do appreciate it. It also has some of the best DVD commentary I've ever seen. It has Temple herself expanding on the events in the film and pointing out which parts were fictionalized. I simply agree with all of your comments. I have a son with Asperger's and work at an autism school and I thought the movie did an excellent job, especially protraying the sensory issues. A must see and a great review. I am glad to hear this movie was so good! It's coming up next on my Netflix Queue. I'm looking forward to watching it with my Aspergian daughter. Saw this movie and was so impressed. Also very moved. When many people thought she would amount to little or nothing, she kicked them in the chops and kept going. I think any parent who has a child or children who are different but not less ;-) regardless of what they are disgnoised with should see this film. Those people who don't have children diagnosed with any difficulties should see it as well, u will have a better understanding and respect for what different but not less ( u will get it better if u watch the movie) children and their families deal with and teach your children respect and a greater appreciation for the great minds inside those sometimes difficult little bodies.